7 reasons a Litigator Scrub is essential for TCPA Compliant Calling Today. Like most call centers and phone marketers, you’re probably calling previous TCPA, FDCPA, Do Not Call and FCRA litigants without even knowing it. These are the professional plaintiffs and their attorneys that have made a business of suing anyone that calls their cell phone. These are the folks that dominate the world of TCPA and Do Not Call Court Actions. And of course, the source of most class action lawsuits in the millions of dollars. Heck, it’s bad enough the FCC has further blurred the lines of “What is an automatic telephone dialing system…” with their recent declaratory ruling update to “future capacity” from the generally accepted “present capacity”. It’s tough enough that consumers, and now business owners, are so sensitive to calls received on their mobile phones, and have a higher propensity to complain than ever before. See our blog: "Litigator Scrub critical to TCPA FDCPA Compliance after FCC Declaratory Ruling." A Litigation Scrub does not remove many numbers from your calling list. There are only about 80,000 previous litigants in this arena, and increasing at the rate of about 1500 per month. With just under 300 million cells in the US, this should not make a dent in your available numbers to call. 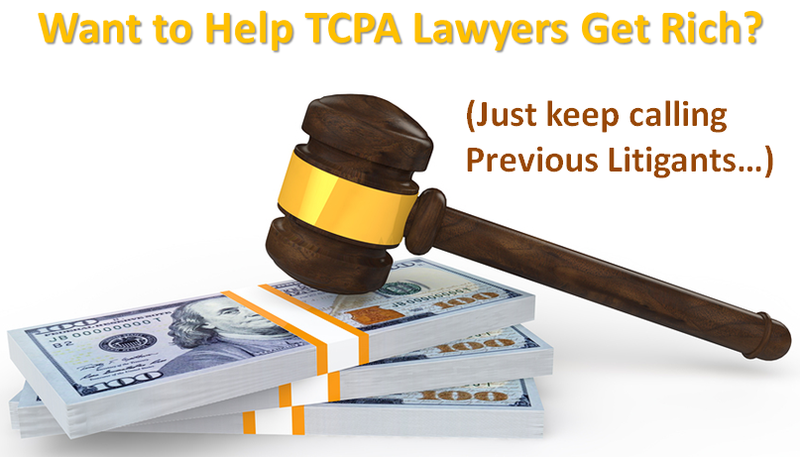 Removing these previous TCPA litigants is cost effective. For a little more than $3.00 a day, you can eliminate these calculated lawsuit purveyors lurking to pounce on your unsuspecting callers – thus mitigating your Telephone Consumer Protection Act exposure to court actions. A Litigant Scrub is easily included in your current TCPA and Do Not Call procedures. Whether you have in-house scrubbing systems or use a third party - a litigation scrub is quick and easy. Of course, using the same company for all your compliance chores allows one step scrubbing of your TCPA cells, Do Not Call List Scrubbing, Litigant Scrub and company specific in-house list. A Litigant Scrub is separately archived and dated for each calling campaign. These numbers will be identified and suppressed independently of all others. A Previous Litigant TCPA Scrub is not required by any call prohibition law, so numbers flagged on the Litigant List can be easily compared to other required scrubs. The Consumer Litigant Solicitation App. The largest consumer litigant, Sergei Lemberg, initiated 508 lawsuits last year. His practice features an an app making it easy for cell owners to submit detailed information on potential suits. A Litigant Scrub is updated daily, to help keep you safe on every call. The list is updated from court records and filings all over the Country each morning. Scrub only the Previous Litigants you're worried about. Say you’re just concerned about TCPA lawsuits - rather than FDCRA, FCRA and Do Not Call plaintiffs - you can single out only litigation filed under the Telephone Consumer Protection Act. 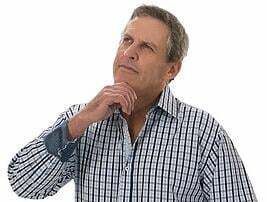 Of all the folks that are most likely to sue you for calling them, previous litigants, plaintiffs and their attorneys are at the top of the list. They have websites, apps, legal paperwork and TCPA lawsuit procedure sharing abilities far beyond what you’d expect. They are the experts. You don’t want to tangle with them. Just responding to their inquiries, even if you are right, takes time, money and effort you could better apply to other areas of your call center business! Related Blog: "Are you calling Professional TCPA Litigators, Plaintiffs and their Attorneys? (Unknowingly setting yourself up for a lawsuit.)" For more information on Previous TCPA and Do Not Call Litigant Scrub, just give me a call on my personal line at 561-317-3001.